On your walking journey you will experience and learn about our Gulf Coast landscape. Take a stroll around the Pond Journey to discover the diversity of life in wetland habitats. Visit the South Savanna Exhibit to see curious and carnivorous pitcher plants, and enjoy the breath-taking wonder of the Pinecote Pavilion, a Mississippi Landmark. Interpretative signs along the trails describe the flora, fauna and cultural history of the Piney Woods region of Mississippi. The Crosby Arboretum preserves, protects and displays plants native to the Pearl River Drainage Basin of Mississippi and Louisiana. As a living memorial to L.O. Crosby, Jr., a man whose vision it was to preserve Mississippi's natural environment, the Arboretum teaches the wonders of nature not from the pages of a book, but through touching, feeling, experiencing and demonstration. It was the family's dream to use the Gulf region as an outdoor classroom and make use of this unique setting to help others come to know and understand that the choices made today about our surroundings determine the future for those who follow. As a center for learning, the Crosby Arboretum is a scientific and educational organization that documents and shares information about nature to the public while providing sites for long-term research. The arboretum manages approximately 700 acres in seven associated natural areas. These carefully selected landscapes support over 300 species of plants. The administrative and interpretive center of the network is located at this site in Picayune, Mississippi. As a living memorial serving educational needs it is an experiment which celebrates and demonstrates thoughtful nurturing of the environment. Savannas are grasslands with scattered trees and were the original Gulf Coast landscape. The theme of the savannas is fire: an awesome, destructive force which can be a constructive, creative one as well. The highly diverse landscape includes wildflowers, grasses, and native shrubs and trees which are fire-adapted to the periodic prescribed burning. This young woodland was a grassland in 1982. The pre-existing vegetation was once an abandoned strawberry farm, and later a pine plantation which was subsequently cut-over. As the forest matures, oak, hickory, beech, and other slower growing hardwoods will emerge and dominate the canopy. The forest will reach its final stage of natural succession, the climax stage, when it is dominated by hardwoods. This stage will take about 200 years before it is reached. Over 12,000 native trees and shrubs have been planted at the arboretum into plant communities, or habitats, that are groupings of plants found in natural associations. Water is a central feature at Pinecote. Many habitat displays of various depths compose the Freshwater Wetland exhibit. A central feature is the 2 ½ acre freshwater pond, constructed in 1986, which provides the setting for Pinecote Pavilion. The pond's shape is derived from locally-occurring beaver ponds and displays the wealth and beauty of our native aquatic plants. Please stop in to register. Visit our gift shop, restrooms, and library, and browse information on local native plants and upcoming arboretum programs and events. Last admission to the Arboretum is 4 PM each day that we are open. The Arrival Journey passes through a young woodland, last burned in 1982. This is an important landscape in which plants and animals find refuge. Connecting the visitor entrance and parking with the Visitor's Center, this five-minute walk allows guests to tune into the sensual delights of the Piney Woods landscape. The woodland is composed primarily of wax myrtle, gallberry, blackgum, and slash and loblolly pine. This path crosses over a narrow spit of land that was once the old farm road when the land was used to grow strawberries in the 1930's, after the original pine forest was cut. This trail borders the deep water Slough which holds water year-round and aids in channelling the overflow from upstream habitats. The water level is controlled by a weir, and can fluctuate by one foot. Grass and sedge meadows occupy ephemeral shallows bordering the deep water, with adjacent woodlands maturing as an arched canopy mirrored in black water. Along this trail you will observe aquatic plants growing in a variety of water depths. The deeper the water, the less oxygen is available to plant roots. The pond edge was designed to show the water zones of a pond. At shore's edge, pioneer shrubs such as buttonbush and grasses, which tolerate periodic flooding, are found. In shallow water, Iris, Pickerelweed and Arrowheads grow. In one to three feet of water, Water Lilies predominate. And in deeper water, submerged plants grow on the pond bottom. In water over five feet deep only floating plants, such as duckweed, will grow. The Pond Journey passes through the Pinecote Pavilion, an outdoor meeting place designed by Arkansas architect E. Fay Jones, and constructed of local materials. The Pavilion is recognized by the Mississippi Department of Archives and History as a Mississippi Landmark. Located in the arboretum's south savanna, the pitcher plant bog contains one of The Crosby Arboretum's signature plants, the yellow pitcher plant (Sarracena alata). Other carnivorous plants and many seasonal wildflowers are found in this highly diverse community that undergoes a yearly prescribed burn. A boardwalk passes through the pitcher plant bog, allowing visitors to closely observe the many species such as meadow beauty, sundew, orchids, sunflowers, pine lilies, liatris and club moss. Next to the tropical rain forests, the Gulf Coast wet Pine Savannas (bogs) are the richest biological systems found in the world. Over 60 species of plants have been recorded in a square meter area. Unfortunately, less than 3% of the Gulf Coast's original pitcher plant bogs remain today. In addition to years of draining or filling these sensitive wetlands, the discontinued use of fire has reduced their presence. 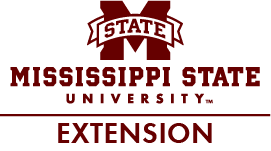 Dr. Ross Hutchins was the department head and professor of Entomology and Zoology at Mississippi State University from 1951 to 1963. During his illustrious career he became known as a naturalist and photographer, producing over 40 books, scientific papers, and numerous articles in well-known magazines. This short trail features insightful quotes from Dr. Hutchins' books about his travels through America's woodlands. This trail runs along a small stream which channels the water from the northern end of the site as it drains toward the south. The vegetation along this trail represents a mixed pine/hardwood forest. Like that of the forest of the Arrival Journey, the forest is relatively young and is predominated by pines. Hardwoods are beginning to establish themselves in this wooded area. Edward L. Blake, Jr., ASLA, a MSU graduate, was director of the Crosby Arboretum director from 1984 to 1994. He received an American Society of Landscape Architects Honor award for his Master Plan and Landscape Design of the Arboretum. Ed is the founder and principal of The Landscape Studio in Hattiesburg, Mississippi, and is a forerunner of sustainable landscape design in the South. He immersed himself into the Piney Woods landscape through a direct experience to gain the essence of Pinecote. William Bartram (1739 - 1823) was an American naturalist and the son of John Bartram, "the father of American botany." Born near Philadelphia, as a boy William accompanied his father on many of his travels in New England and Florida. Bartram was noted for the quality of his botanic and ornithological drawings. In 1773, he embarked upon a four-year journey through eight southern colonies, ranging from the Carolinas, to Florida, to Mississippi. He made many drawings and took notes on the native flora and fauna, and the Native American Indians. Children will enjoy this interactive trail that was designed especially for the little ones to introduce them to ecosystems. Interpretative signage will guide them in finding the objects seen in a forest, including animals that live in the grassland, how to orient themselves in nature based on the sun's location, and how to howl like a coyote! This trail is dedicated to the late local mycologist Dr. Bill Cibula. Dr. Cibula served as a scientific advisor during the time of the Arboretum's inception as well as the Gulf States Mycological Society. He could always be found spreading his love for mycology through field trips and forays throughout America and Europe. A 1.6 mile loop that circles the arboretum's savanna areas, which appear as they would have to the early European settlers. The grasslands at the Crosby Arboretum are maintained by fire, which suppresses competing undergrowth and encourages the growth of herbaceous species (wildflowers, grasses, and sedges). The term "savanna" is derived from the Spanish word, sabana which means a large plain. Savannas are ecotones (intermediate habitats) that contain continuous grass cover with scattered trees that contribute up to 30% cover. Pine Savannas once dominated the southern coastal landscape. Today, these ecotones are maintained only by prescribed burning. Ethnobotany is a field that combines anthropology and botany. This field involves the study of cultural uses of plants. Ethnobotanists explore the value of medicinal plants as well as traditional food sources and tool making. The trail signs explain just a few of the many ways in which our ancestors used native plants. **Portions of the above text are taken from the Pinecote Master Plan: A Guide for Long Range Development, The Crosby Arboretum, 1994.